I bought my Dreamcast for Shenmue, Seaman and this game. I read a preview or a review and thought it sounded like the best game I'd ever play. It nearly was. It's very fun just to walk around and visit the various shops or go to a concert. And being able to be different people is really neat. And of course the inclusion of the great David Bowie made me very happy (I've always liked him, since the days I watched Labyrinth with my sister). 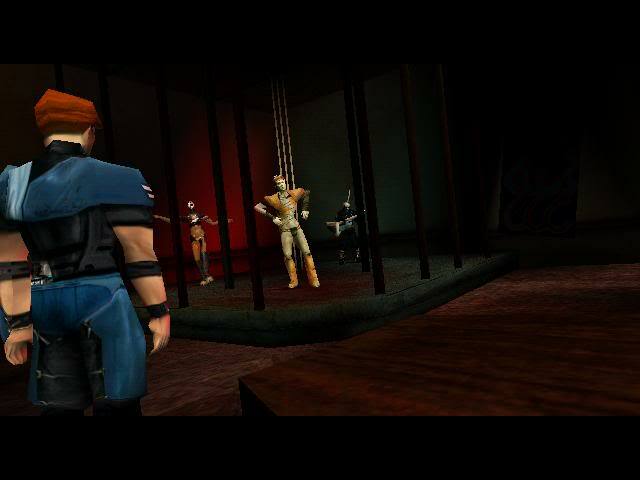 I haven't played hardly any other games that remind me of Omikron, the closest being Indigo Prophecy, which, to no one's surprise, was made by the same people who made Omikron. It really is unique, even to this day. Finding a copy isn't too bad and it's not an expensive game. Def check it out if you have some spare cash, though be warned: the game does not like Windows XP if you get it on PC. A quick edit: I got the PC version working just fine on my computer. The only problem I have is I need to switch the run command to something other then shift, because it keeps triggering windows sticky keys. Really annoying. Will probably make it Q, to go along with my WASD switch on the movement keys. I haven't bothered to change the rez yet, but unlike other people, I don't so far seem to be having the glitch that requires you to run in software mode (I'm playing in primary device setting). I also can not confirm nor deny the map glitch, as I've never looked at my map. I can get around fine without it. Anyways, I'm gonna go to bed now and play this later. So nights.